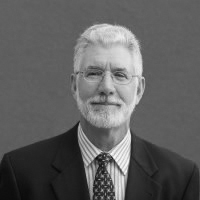 Managing Director Craig E. Cayford has over 35 years of experience in helping large, publicly traded corporations and organizations develop creative retirement planning solutions using both qualified and nonqualified retirement plans. Clients choose Craig for his expertise in taking complex financial solutions and making them simple; he is a proven problem solver for businesses. Prior to joining Fulcrum Partners, Craig served as a Lead Consultant with Clark Consulting for over 15 years, where he specialized in the design, funding, implementation, and administration of nonqualified benefits programs. These programs include deferred compensation plans, excess plans, and supplemental executive retirement plans (SERPs). Past Vice President of the Portland Office of Management Compensation Group, a leading executive compensation and benefit consulting firm. Worked for the employee benefit-consulting firms of Watson Wyatt Worldwide and William M. Mercer, where as an enrolled actuary under the Employment Retirement Security Income Act of 1974 (ERISA), he was responsible for compliance with Federal Regulations pertaining to qualified retirement plans. Craig Cayford is affiliated with Valmark Securities, Inc. Securities offered through Valmark Securities, Inc. Member FINRA, SIPC, 130 Springside Drive, Akron, OH 44333-2431* 1-800-765-5201. Fulcrum Partners LLC is a separate entity from Valmark Securities, Inc.
Speaker: Enrolled Actuaries Meeting, Washington D.C.